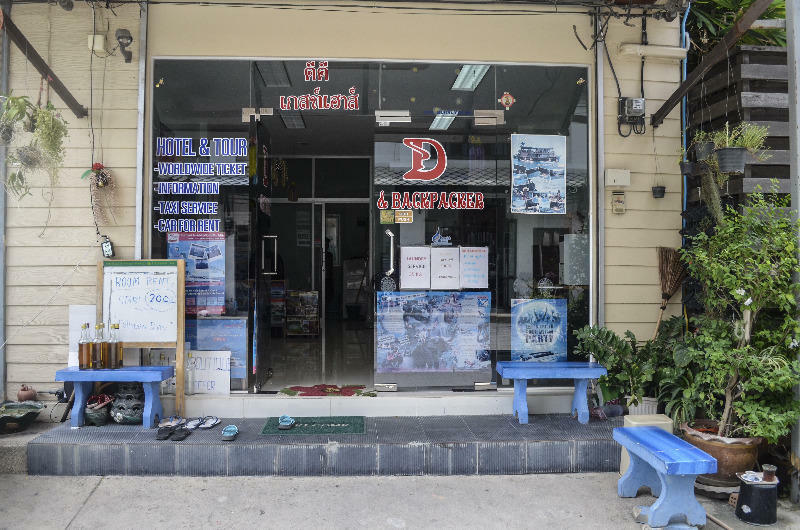 Located 2 minutes walk from the crystal clear waters of Chaweng beach, DD Guest House owns an ideal location. There are numerous restaurants, bars, clothes shops and lots of street markets. The walking street market which is only five minutes walk from the guest house has a vast range of Thai delicacies. There are also many clothes stalls. The other market is five minutes walk behind the guesthouse and is a traditional Thai freshfood. The airport is only 15 minutes away from DD guesthouse via car. The rooms are all dormitories with a maximum of eight beds in one room; the rooms are finished to high standard. All rooms are very spacious and comfortable. The property provides all manner of services from booking PADI bubble maker dives to booking flights to your home country, island tours and excursions. We have a vast selection of Motorbikes and scooters available for daily rent, prices start at 150 baht per day. Car hire is also available as well as taxi services and minivans. There is a small internet cafÃ© in our reception. We have a large communal fridge for all guests to use to keep water, beer or whatever you like cold. It is a 15 minute drive to the Airport from DD Guesthouse. Airport and ports all have taxi and minivans all with set prices you just need to get one to Chaweng show them our address and they will drop outside our door.